Police investigating a foiled under-car bomb attack on a married serving police couple in Derry have arrested a man in Lurgan. 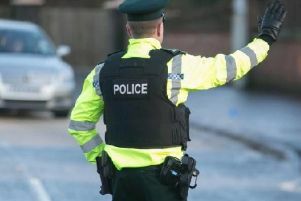 The 57-year-old man was detained in Lurgan on Tuesday morning. The device was discovered last Thursday at a house in the Eglinton area of Derry. Police were alerted to suspicious activity outside a house at around 2.45am and when they arrived they found the device under a car parked outside a house. Police said the device was “capable of causing death or serious injury”. This is the fifth arrest by detectives in connection with the incident. The previous four men have been released without charge.